Throughout history, the seventh son and the seventh son of the seventh son are revered. There are also many famous people who are the seventh daughter or son. 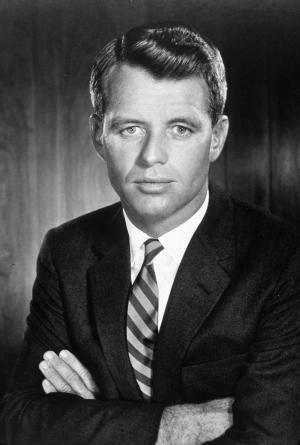 Robert Francis Kennedy was the seventh child in the closely knit, competitive family of Rose and Joseph P. Kennedy. “I was the seventh of nine children,” he later recalled, “and when you come from that far down you have to struggle to survive.” RFK’s first communion was at age 7. Thomas Edison, inventor of the phonograph, was the seventh of seven children. Star linebacker James Harrison, Jr., who plays for the Pittsburgh Steelers, grew up in a family of 7 brothers and 7 sisters. Rod Stewart christened his 7th child Alastair (when he was 7 months old) in Edinburgh, Scotland in June 2006. Stevie Wonder celebrated his 55th Birthday in 2005 when his wife gave birth to their 7th child, Mandla Kadjaly Carl Stevland Morris. Michael Jackson was the 7th of 9 children. His first and last names are spelled with 7 letters each. Jackson sold 700 million records. His memorial was held on 7-7-09. Dangerous has sold 7 million copies. Seven singles from the Thriller album were on the Billboard top 100 list at the same time. Bad also had 7 top 100 singles. The seventh child of a Scottish weaver, James Barrie, was the author of Peter Pan. Motown Records founder Berry Gordy was the seventh child born to Berry and Bertha Gordy. English novelist Jane Austen was born in 1775 as the seventh of eight children. Brad Pitt and Angelina Jolie adopted their seventh child, Leah, from Haiti, in 201l. William Clark, born in 1770, of the famous Lewis & Clark explorers, was married twice and had seven children. Luciana Morad gave birth to Mick Jagger’s seventh child, Lucas, in 1999. Kevin Costner and wife Christine celebrated the birth of Grace Avery, Kevin’s seventh child and her third, in 2010. Napoleon Bonaparte had seven brothers and sisters. Quarterback Kurt Warner and his wife Brenda have seven children. Johann Sebastian Bach and his first wife had seven children. 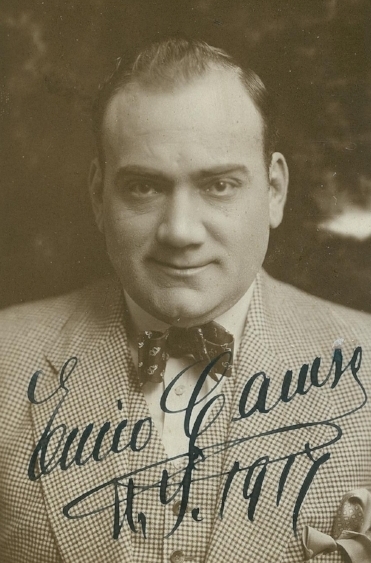 Enrico Caruso was one of seven children born to the same parents. Jimmie Johnson earned a seventh Sprint Cup championship in November 2016. Johnson was humble and brief in his 7-word comments after winning: "I don't even know what to say." He was praised by four-time champion Jeff Gordon and other racing greats. Only Dale Earnhardt and Richard Petty have won 7 Nascar championships. The brilliant artiste Marc Chagall was connected to 7 in many powerful ways. Chagall was born on 7 July (seventh month) 1887. His last name is spelled with 7 letters. One of his most famous self-portraits features his hand with seven fingers (shown here) –perhaps related to the 7 branches of the Jewish candelabrum. His relationship with Virginia Haggard lasted seven years. Chagall created masterful art for more than 70 years. He painted the ceiling of the Paris Opera for a year at age 77. This photo shows 7 of the players, and Art Dugoni happens to be the 7th in the row (from left to right). He is also the tallest. An exemplary educator and leader, Dr. Arthur A. Dugoni served as dean of the University of the Pacific’s Arthur A. Dugoni School of Dentistry from 1978 to 2006 and as president of the American Dental Association. • He attended Spring Valley Elementary (oldest, continuously operating school in California), which was one of 7 schools established during the Gold Rush. • Art Dugoni is the father of 7 children. Jim Dugoni is the 7th. He has 7 great-grandchildren. • Dr. Dugoni served as 7th Dean of Pacific Dugoni for 28 years (4x7 and the sum of first 7 numbers = 28). • Art and his wife, Kaye, lived at 7 Woodridge Court in Redwood City for many years. • His son Steven’s name is “Seven”with a “T”. • Webster Street and 155 5th Street dental school buildings both have 7 floors. The Webster Street building was sold and converted into 77 luxury condos. • He started the international (IDS) program in 1987 with 7 students. • Dugoni donned jersey 7 for track and two basketball teams: 1942 for Oakland Naval Hospital team, and in 1943 San Francisco City Champions. Dugoni (donning jersey 7) is 7th from the right in this U.S. Navy photo from 1942.